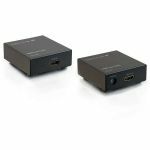 The IPUSB2HD2 HDMI over IP Extender delivers a versatile HDMI-IP link between PCs on your network and an HDMI monitor/projector, at full high definition (1080p, 1920x1080) video resolution. 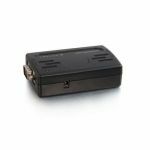 Accompanying audio signals are transmitted directly through the HDMI output, or separately through the built-on 3.5mm stereo output port. 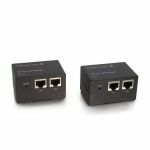 An ideal solution for sharing a display or projector over an Ethernet network so that even PCs lacking digital video output can still connect, the IP/HDMI adapter can communicate through a network router at transmission distances up to 100m (300ft). 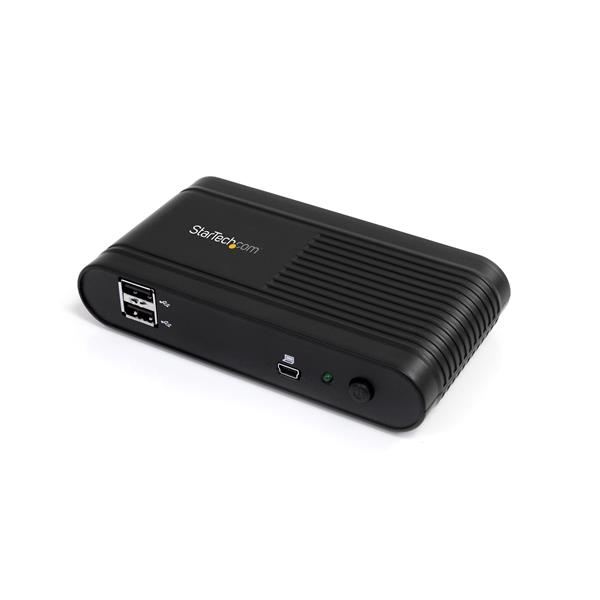 Plus, it offers 2 USB 2.0 ports on the display side, to connect and share peripherals such as USB storage or keyboard/mouse input with the connected PC. 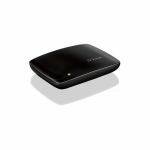 Alternatively, the device can be used directly connected as a USB to HDMI adapter.